Wisconsin State Division 1 Pom AND Jazz Champs, 2 years in a row! 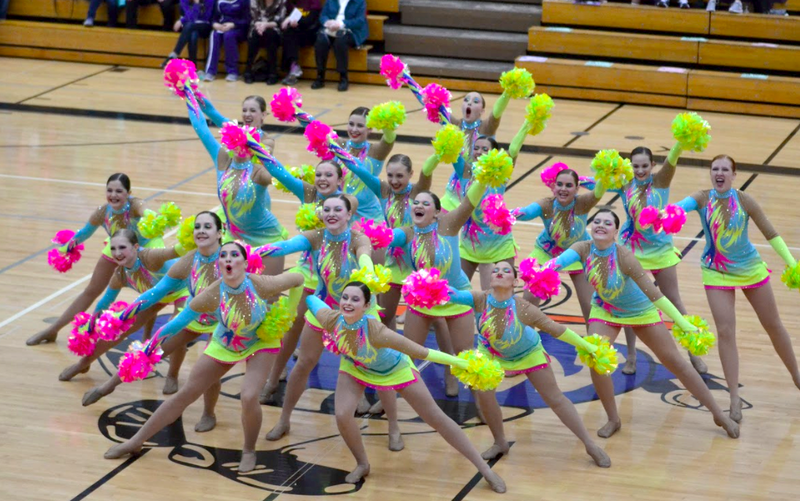 Wisconsin's Franklin High School Poms took home TWO State Titles at the 2018 WACPC State Dance Championship this February! A double category win an extremely impressive feat on it's own, but this is even more impressive considering it's the second year in a row the team has won in two categories! "The fact that our team this year was so young and we were still able to achieve the level of success we did is incredible!" said Coach Sarah Ward of her team. "Our team of 20 has 15 underclassman, with 2 seniors that started as alternates their freshman year. When we talk about hard work paying off, it's this group of kids!" "We wanted to tell the story of the film through the dance which is why our music changes throughout the piece. After watching the film you remember the girl in the red coat, so we had to go with red for our costume to pay homage to her. 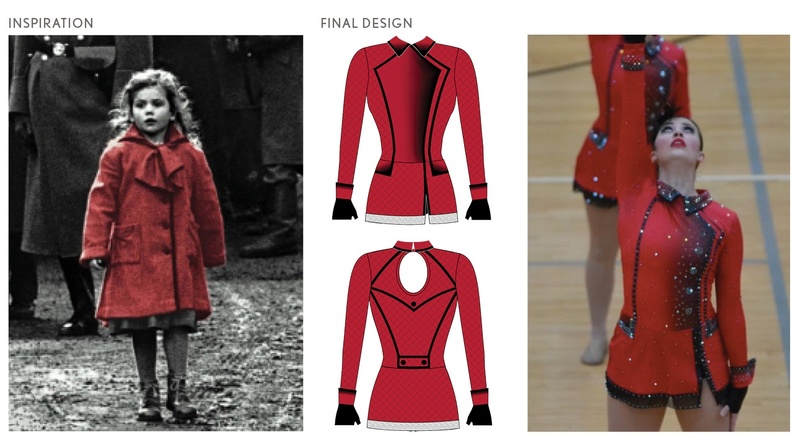 In addition to the red, we wanted to show the military look as well so we went with the red military jacket. [The routine shows] the slow, controversial start into the war, and then the sad ending of the war both in the music and costume. Our jazz choreographer, Mary Levoir is amazing in all that she does and was able to bring this piece to life. I had chills the minute she started teaching it." Check out a video of their performance on the Saber Poms Facebook Page! 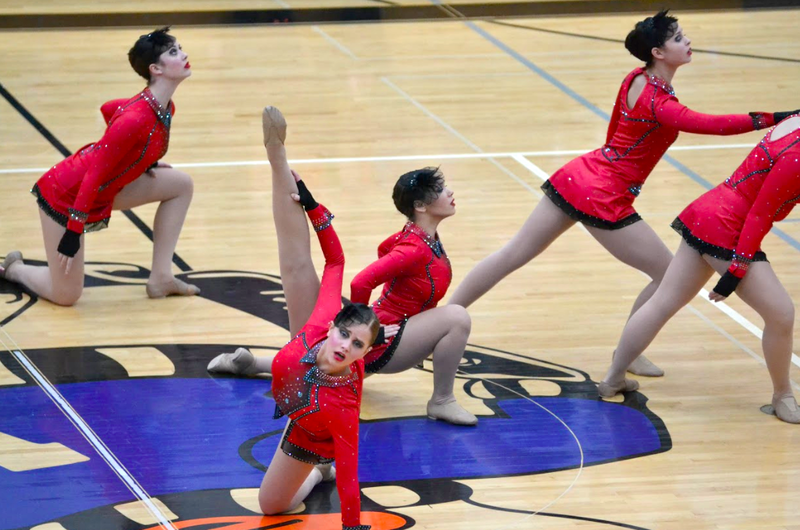 For Pom, the team wanted a routine "that would really just wake up the crowd," Sarah told us. To do this, they chose songs that everyone knows and can get into! 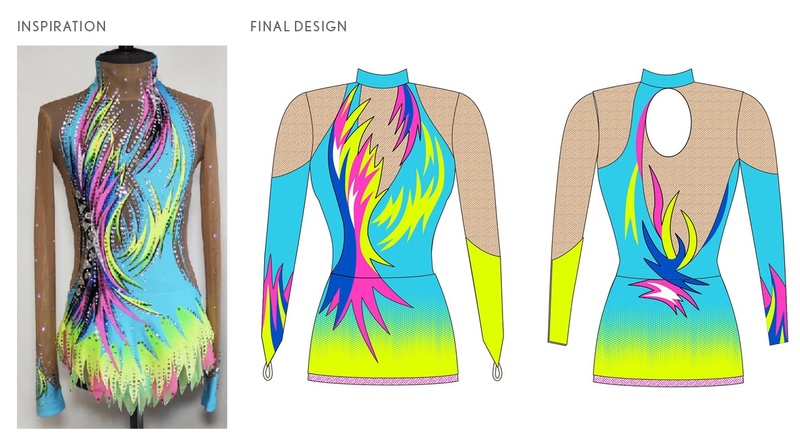 Inspired by a rhythmic gymnastics leotard (below), the team created a neon pink, yellow, and blue pom dress to fit their energetic theme. 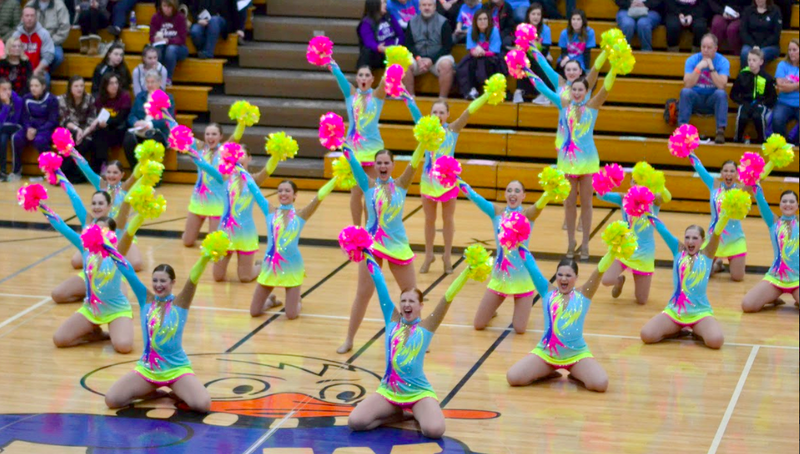 "We wanted to do something bright that we knew would great on the gym floor," said Sarah. The bold neon colors of the dress were the perfect way to achieve the enlivening effect they were going for! 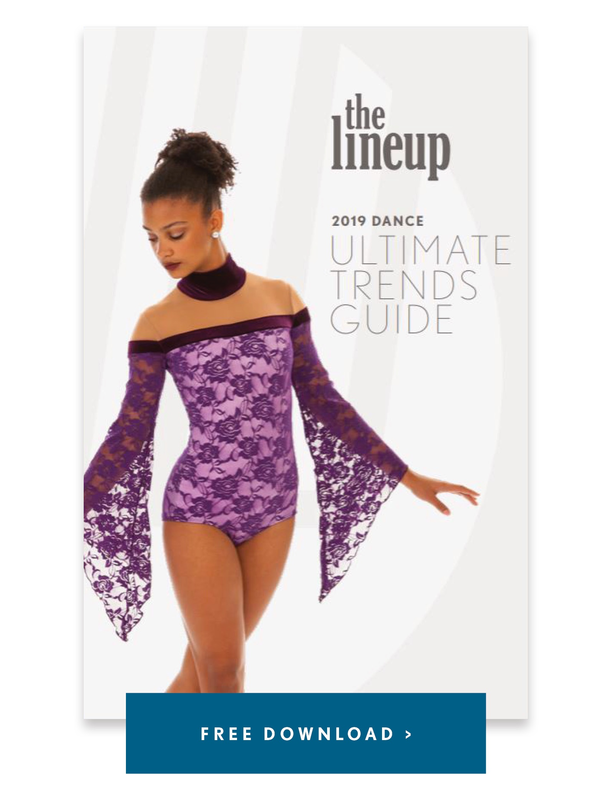 "The costume alone would wake up a crowd," Sarah said. Sublimation made the bold airbrushed look possible, by printing the custom graphic pattern and colors directly onto the fabric. The team also saved on their budget by rhinestoning both of their costumes by themselves! 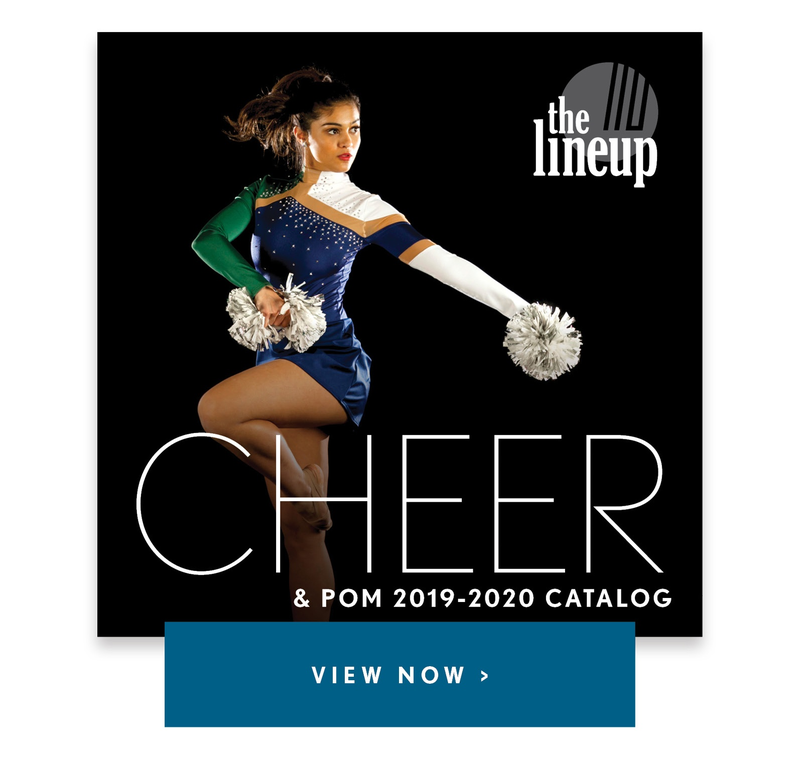 See a video of their energetic pom routine on their Facebook page, and check out more Q & A with Sarah Ward below! The fact that our team this year was so young and we were still able to achieve the level of success we did, is incredible! The team of 20 has 15 underclassman with 2 seniors that started as alternates their freshman year. We talk about hard work paying off its this group of kids. Staying on top of your game with such great competition we have here in WI is a lot of pressure. Last year we lost 10 amazing seniors and we knew it would be hard. A group of bright eyed freshman wanting to work hard enough and to not let everyone down. We came together as a team we did it! Handling the pressure of years of success is sometimes the hardest obstacle, and this team often struggles with confidence. We had to work hard to prove to each other we were good enough to be in the mix. We are excited for the years ahead with this young team.